32 ACP ammo or 32 Automatic Colt Pistol ammunition was at one point one of the most popular cartridges in the world. .32 ammo was most widely spread throughout Europe, but also found its way to South America and the United States. Designed to be used in small, compact blowback operated weapons you’ll find a lot of concealed carry pistol owners rely upon the cartridge today. 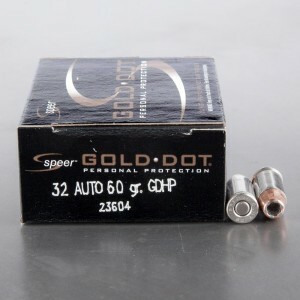 32 ammo was both police and military use, and was used extensively by police forces around Europe. 32 auto cartridge was even used by James Bond for a short period of time after Ian Fleming received a letter from a gun knowing fan. The round and weapons chambered in it’s cartridge where known for being extremely light in the days before polymer frames. 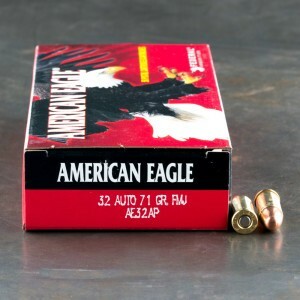 When I go to the indoor range I use this ammo exclusively in my Beretta Tomcats. (I use hollow point when I'm in concealed carry mode, which ends up costing 2-3 times the Federal FMJ round). Beretta specifically says do not use anything with a muzzle velocity of over 130 fp. Using higher power rounds has evidently led to some frame cracking issues on Tomcats, which I like very much, due to 1) no unpleasant recoil 2) tip-up barrel 3) blowback design 4) manual safety 5) accuracy for a mouse gun. 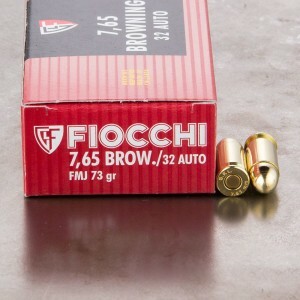 That manufacturer's warning would exclude Fiocchi and several other target grade brands of ammo. 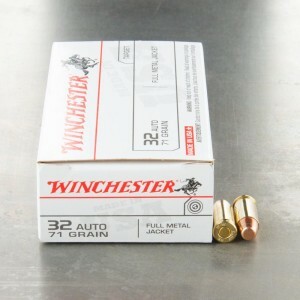 .32 ACP is not that easy a round to find anywhere, and at Ammunition to Go's sale price, I had to buy a case of 1000. 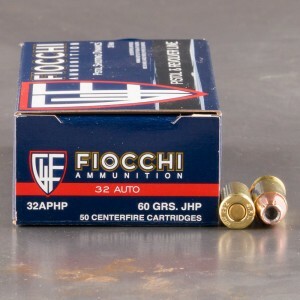 Be careful not to order .32 NAA, because that will not work in .32 ACP pistols. 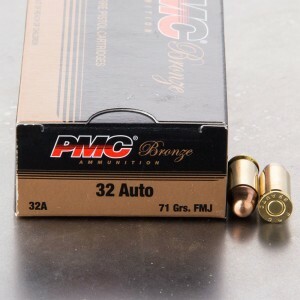 Is the .32 Auto the Same as the .32 ACP? Yes. These are simply two names for the same cartridge. Although it is often called the .32 Auto, the official name in America for the round is “.32 ACP,” which stands for Automatic Colt Pistol. This designation simply means that the bullet was designed by Colt’s Manufacturing Company and was intended specifically for their semi-automatic handguns. Other rounds, such as the .25 ACP and .45 ACP share that "ACP" surname. Can You Shoot .32 Auto in a Firearm Made for .32 S&W? 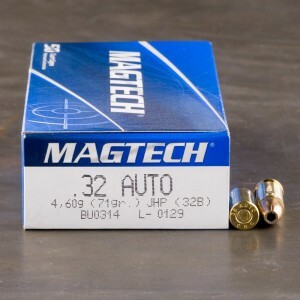 The .32 S&W Long, sometimes the .32 Long (but should not be mistaken for the older .32 S&W), is a distinct cartridge that was made by Smith & Wesson. Although they share some of the same dimensions, they have a few different measurements, including differences in the rim thickness and rim diameter. 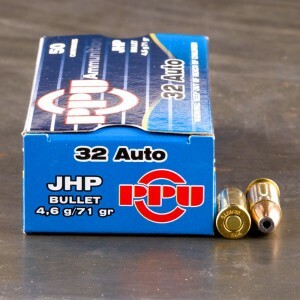 While some claim they can be interchangeable, you’ll want to check with your firearms manufacturer or an expert to make certain .32 Auto rounds can be safely fired in a gun made for .32 S&W ammo. What Types of Firearms Shoot the .32 ACP? While there are revolvers that can shoot the .32 ACP, the majority of these cartridges are used in pistols. As the “ACP” suggests, the bullet was developed for semi-automatic, self-loading pistols. How Does the .32 ACP Compare to the .380 ACP? 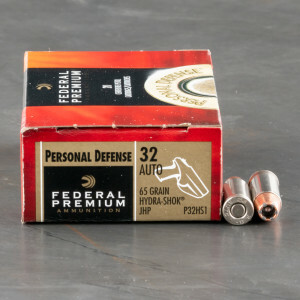 Although the .32 ACP is sometime belittled as a weakling, these are two capable rounds that deliver reliable self defense. 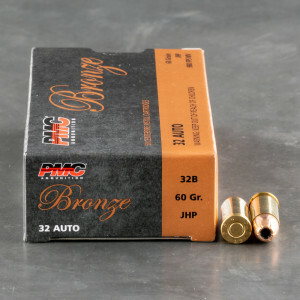 .380 ACP ammo, however, generally has stronger velocity and muzzle energy, giving it a clear advantage in stopping power. 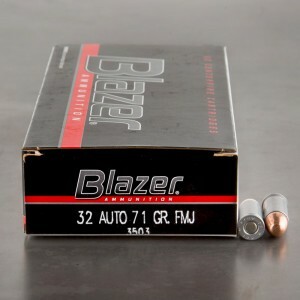 The .32 ACP remains a reliable cartridge for people who want a smaller, manageable, and more compact weapon. Is the .32 Auto Strong Enough for Personal Defense? Yes. 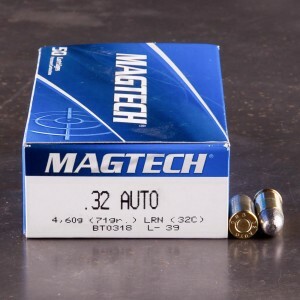 Although many people will recommend a larger caliber, such as the .40 S&W or .357 Magnum for personal protection, the .32 Auto is perfectly capable of providing reliable performance when you need it. 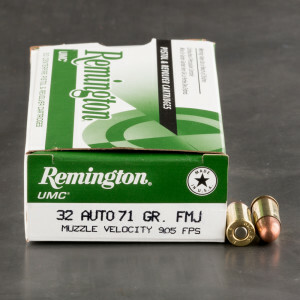 This cartridge delivers muzzle velocities around 1,000 feet per second, depending on the product, so you can certainly expect quality penetration on your target. Although the muzzle energy remains under 200 foot pounds, it’s still a perfectly capable self-defense cartridge for the right person. 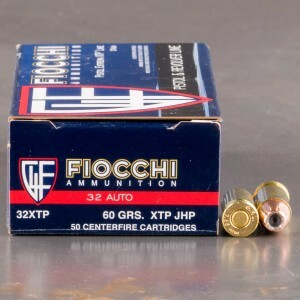 If choosing the .32 Auto for self defense, you will want an expanding round that delivers a wider wound channel and less over-penetration; this means you’ll likely want a jacketed hollow point or a soft nose round.